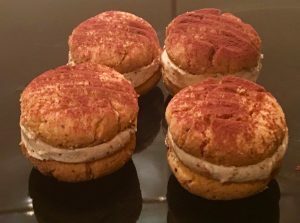 Posted on February 2, 2019 Posted in Biscuits	. Ok, so this recipe is not that ‘out there’. 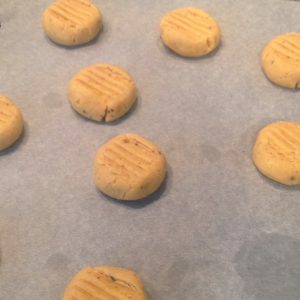 But it’s just too good for me to not include on my blog and coffee flavored melting moments, well they are not the usual flavor. 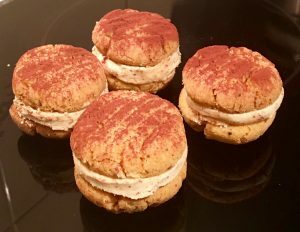 Generally, or traditionally I should say Melting Moments are shortbread type biscuits that are butter or vanilla in flavor with a buttercream filling. Soo… I figured it ticks some boxes (not all) in terms of being uncommon. BUT, what I can guarantee is this recipe ticks all the boxes when it comes to texture, taste and decadency. To be honest I have gone off coffee on recent months but one taste of this biscuit and there is no way I won’t be finishing it, as well as another one for the road! An easy and super delicious recipe with the beautiful melt in your mouth texture. Pre-heat the oven to 180c degrees and line a large baking tray with baking paper. 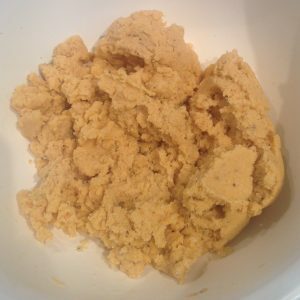 Place the butter and coffee granules in a bowl and using electric beaters whisk until the butter is light and fluffy. Add the sugar and custard powder and whisk until combine. Add the flour and baking powder and using a spatula stir until the mix until well combined. 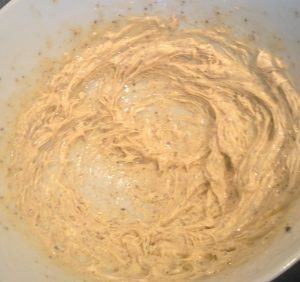 Roll the dough mix into balls of 20g each and place on the tray. Press each ball with the back of a fork to slightly flatten and place in the oven for 15 minutes or until lightly golden. 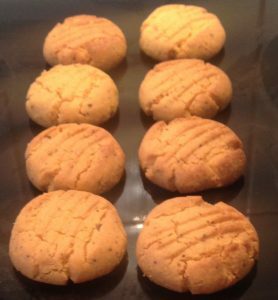 Place biscuits on a cooling rack until cold. 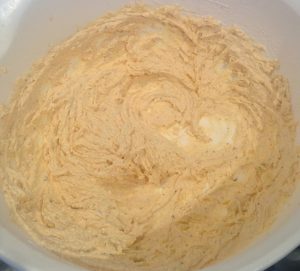 Meanwhile make the icing by placing the ingredients into a bowl and whisk using electric beaters whisk until well combined. Spoon the icing onto half the biscuits on the bottom flat side and sandwich with the remaining biscuits. Dust with a little cocoa powder and enjoy. Tags: coffee, coffee melting moments, melting moments	.